America’s pastime, as we all know, is one full of peanuts, Cracker Jacks, foot-long hotdogs—oh, and the game, of course. From the time we were kids at our first baseball game to our lifelong infatuation with batting average and the long ball, America’s pastime has offered a sense of release and relaxation, mixed with moments of excitement. 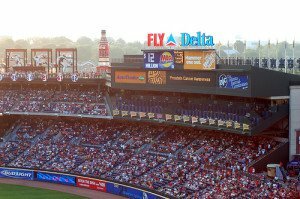 Unfortunately, some recent injures at ballparks could get the owners at Turner Field in Atlanta into personal injury and wrongful death cases. In July, a man fell about 65 feet from an upper level of the Braves’ Turner Field during a game against the Phillies. According to a recent USA Today article, there was no foul play suspected and it was too early to determine if alcohol was a factor. This isn’t the first time in recent years that Turner Field has experienced a fan fatality. In May 2008, a 25-year-old man suffered head injuries when he fell down a stairwell, later dying from the injuries. In that incident, alcohol was found to be a factor. As a personal injury attorney, I feel the family of Ronald Homer, the victim of the most recent accident, will likely file a wrongful death claim against the owners of Turner Field. It is the responsibility of stadium owners and operators to provide a safe, enjoyable environment for fans. This is true with all entertainment venues, and personal injuries should not happen. Unfortunately, they do, and cases like these pop up in the media, reminding us of the dangerous realities these immense structures pose. I will continue to monitor this case, as I do with most personal injury and wrongful death cases in the news. If you have any questions or comments about this recent death, or have suggestions about how stadiums and other entertainment venues can reduce the risk of personal injury to fans, I’d like to hear your ideas. If you have ever been injured at a sports complex or entertainment venue as a fan, or have suffered any other type of personal injury that has affected your ability to work or function normally, be sure to contact an experienced personal injury attorney.